It's incredibly important to always wrap up your delicate package. 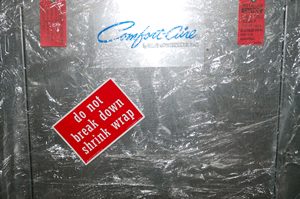 Shrink wrap also makes it easy for anyone to tell if your package was opened or tampered with. We keep our costs low, so you can place labels all over your packages. • Place a bright label to caution everyone against opening the package or removing the packing list. • And, the strong acrylic adhesive backing on our labels works on many materials, even shrink wrap.